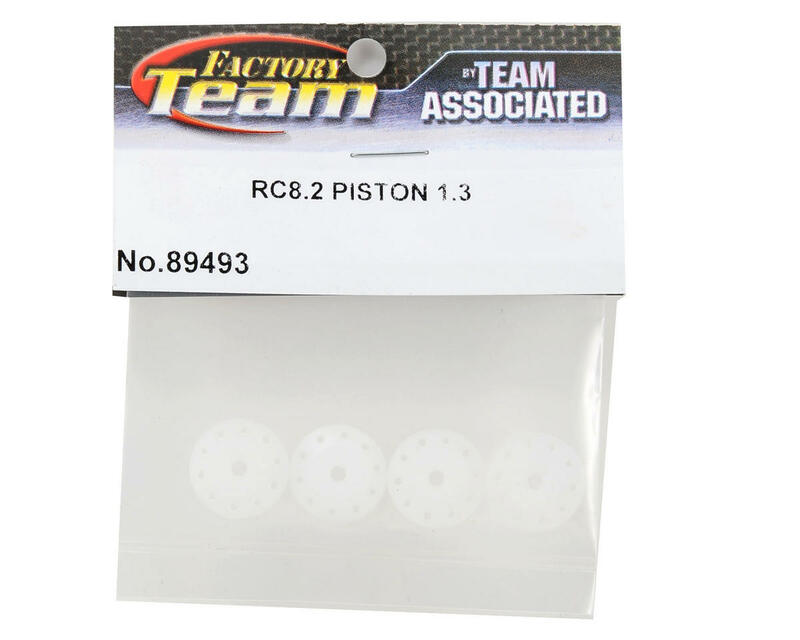 This is an optional Team Associated 16mm 5x1.1 & 5x1.3 Shock Piston Set, and are intended for use with the Associated RC8 family of vehicles. Designed to fit perfectly in Team Associated 16mm Big Bore shocks, these precision-machined, tapered Delrin pistons have been extensively track-tested and race-proven by AE's racing team over the course of the 2010-2011 season, TQ'ing multiple rounds at the World Championships in Thailand. The team set out to improve over the 10 x 1.1 piston setup with damping characteristics that also excelled when the track got bumpy. Extensive testing showed that by drilling out 5 of the 10 holes larger, the damping provided the best of both worlds. 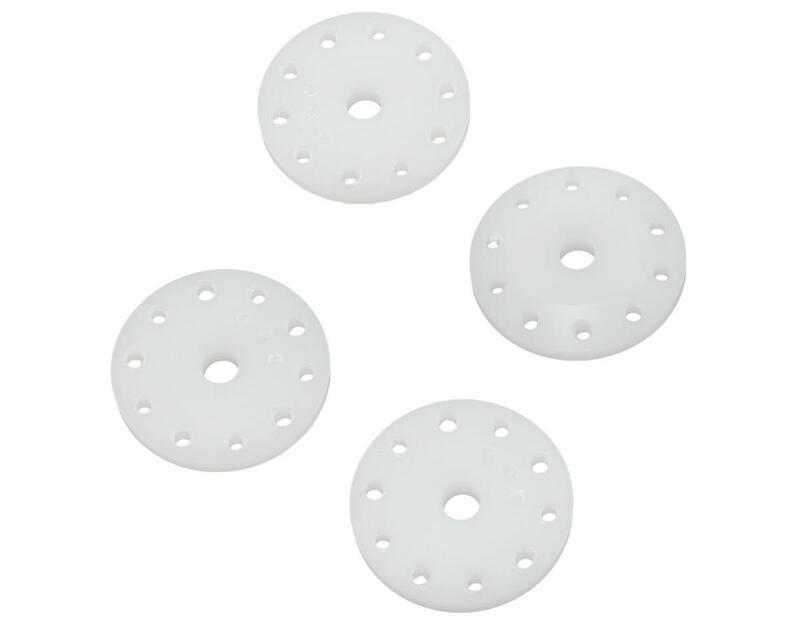 The larger 1.3mm holes allow for better low speed damping over bumps, while still keeping the great smooth track handling characteristics of the smaller 1.1 hole setups. NOTE: Install taper side down. Associated recommends using 27.5–30wt rear shock fluid and 35–40wt front shock fluid as a starting point.